President of Russia Vladimir Putin really needs no introduction, he is the President of Mother Russia… He runs an authoritarian regime and he allegedly helped Donald Trump come to power. 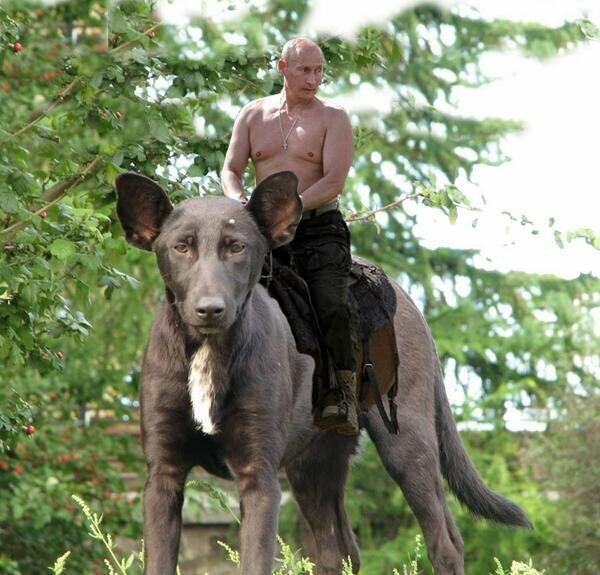 Fun Fact: Putin plays ice hockey and practices for hours in an ice rink outside town. Does he love that sport? We don’t know! But we do know that ice hockey being Russia’s national sport, playing it will gain sympathy points just as in case of Germans who happen to love soccer. 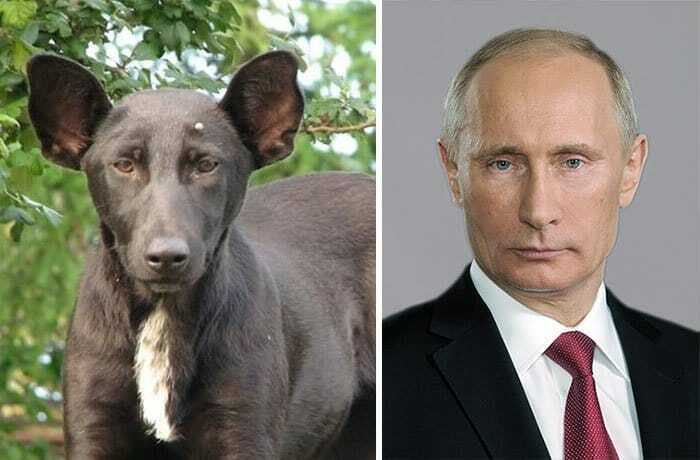 Moreover, there’s no denying that Putin 100 % looks like this dog… poor, poor dog, what did he do to look like Putin? It’s all in the eyes, they’re full of secrets.